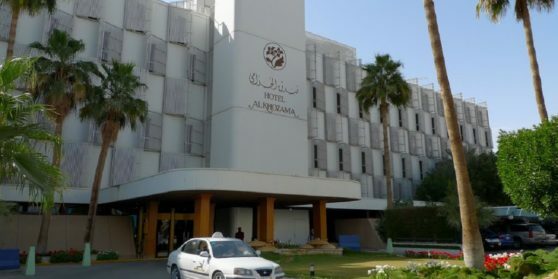 Hotel Al Khozama is a premier hotel in Riyadh, the capital of Saudi Arabia. As a modern capital city, Riyadh features a mix of skyscrapers, towers and shopping malls. Yet elements of an ancient Arabian city such as the souk and old buildings remain, and the city is surrounded by desert. The great desert, the Rub al-Khali, lies to the south of the city. With centuries of experience in extending the warmest of Arabian welcomes to all of its visitors, the royal capital of Saudi Arabia, Riyadh, can satisfy the demands of the most discerning travelers with a range of quality facilities rivaling any other in the Middle East. Like Riyadh, Hotel Al Khozama peacefully blends Arabian tradition with modern culture. The hotel is renowned for exceptional levels of service and a warm atmosphere that makes guests return to the hotel time and time again.